Noise: Eliminate the high frequencies, less wheezing sound. This circuit should be slightly more components. But this sounds a bit more stable and more beautiful. More sensitive and emphasize the guitar voice. The “noise” controller was not built in, but who wants to do it. The following changes to the previous circuit. built. Added tone control. It’s a little change of tone. Depending on the setting, resulting in blunt or stronger voice. The C4, C6 capacitors and R8 potentiometer value is not fixed. It can be varied within narrow limits. They are also little change in the sound. For example, 4,7nF instead 6.8 – 10nF. or 25K instead 10K. 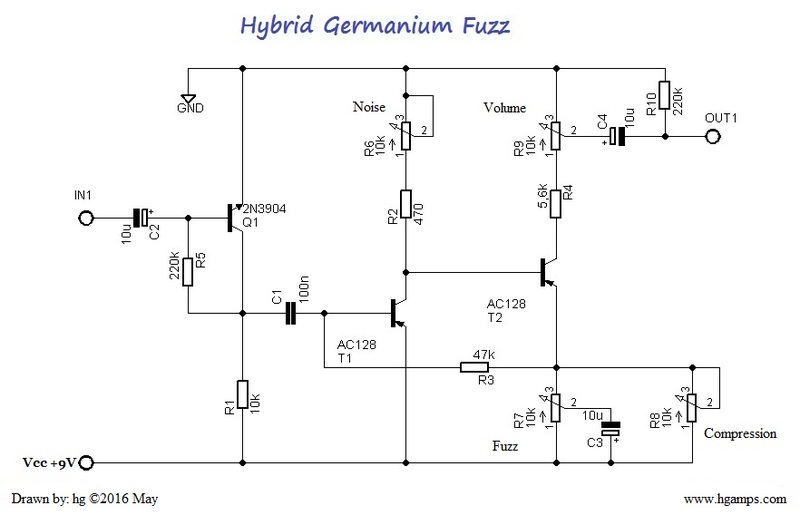 In this hybrid germanium fuzz circuit original NOS germanium transistors used. At one time they were manufactured in the 70s, the manufacturer Tungsram. 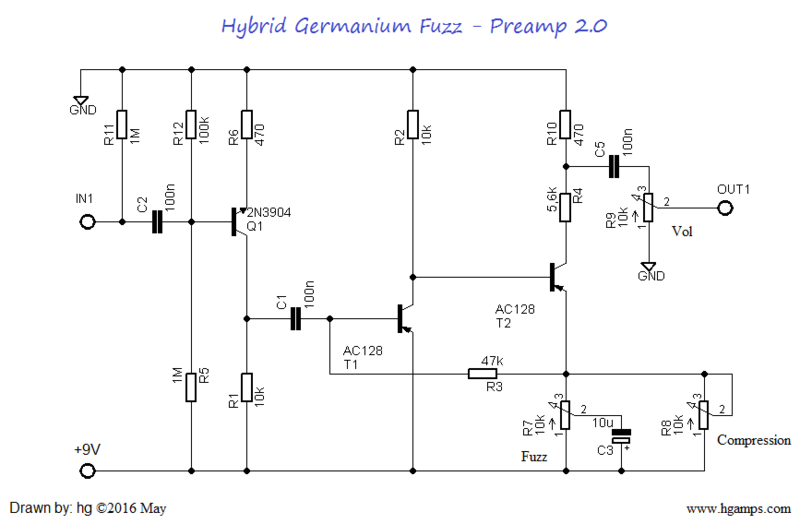 Unfortunately, we have less and less NOS germanium transistors, more and more difficult to find them. 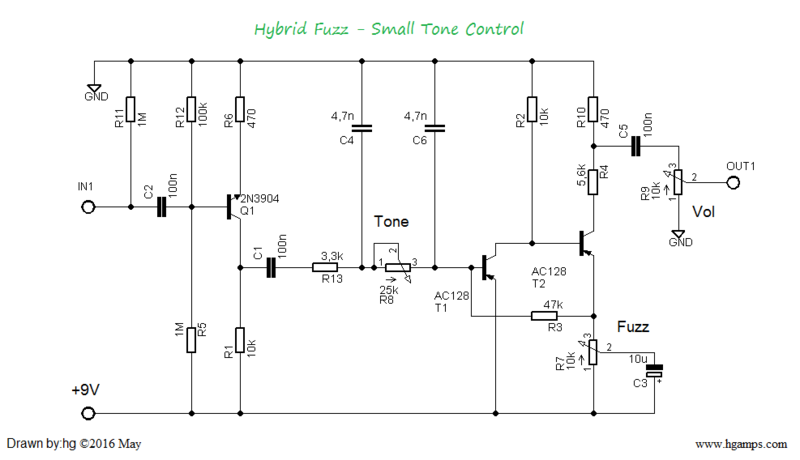 And this is the real basis of fuzz.